Hole: A break in material space, characterized by the indivisibility of a boundary (a husk) and a bound space (a cell), that simultaneously conceals and reveals. A hole is the presence of absence but, because of the power of its boundary, never the absence of presence. 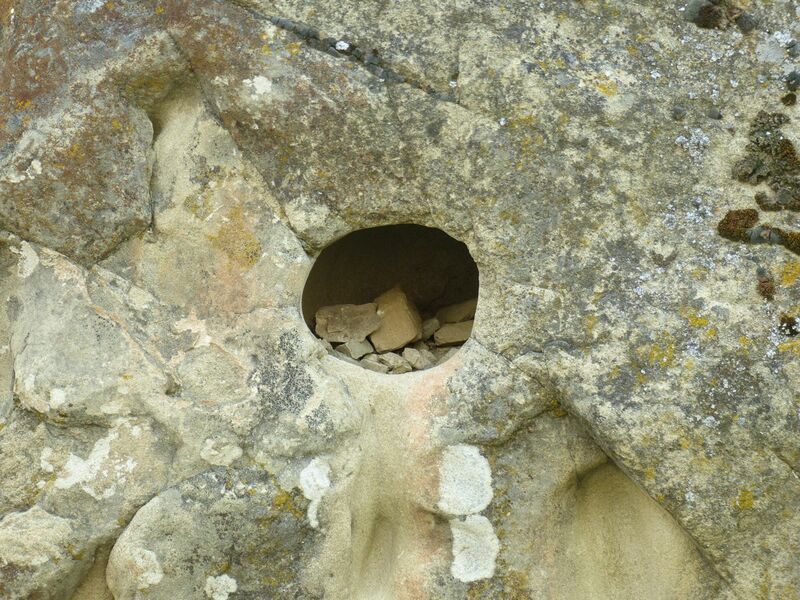 Holes have the power to conceal (to cell), as a manner of revealing their boundaries’ power to reveal. This power has long been recognized by spiritual seekers and is a primary meditational and transformational space of monastic traditions. Hole in the Rock, Peshastin Pinnacles.